Bad: Michael Jackson's face was the least synthetic thing about it. My beloved iPod contains not just the music I´m currently listening to, but most of my favourite albums from years gone by. There´s all kinds of stuff on there - the content spans decades and genres. All of which means that, when I hit the Shuffle button, I can get some pretty odd segues. Thelonius Monk can roll into Burial; Joni Mitchell into Justice. What strikes me most, though, is not the abrupt changes in style, but how dated the production on a lot of my music sounds. 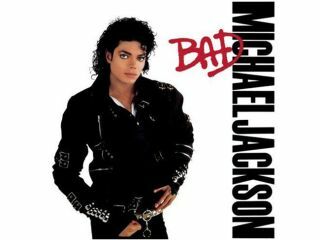 Michael Jackson´s Bad, for example, feels like it was crafted by a sheen-happy robot on the planet Synthotron, and even my 90s nu-soul albums - the likes of D´Angelo´s Brown Sugar and Erykah Badu´s Baduizm - seem very much of their time. When I first listened to these, the production sounded pretty neutral, but now, it sometimes feels like it´s in danger of getting in the way of the songs. Tellingly, the records that have dated the least are those that were recorded before the advent of digital technology. My 70s disco and funk cuts sound as fresh as they did when they first came out of the studio, and The Beatles´ albums have endured remarkably well. I frequently have to remind myself that Rubber Soul was released in 1965. If you record your music at home, there´s a lesson in all of this: it doesn´t always pay to try and recreate the sound of ‘now´. You can spend ages trying to emulate a cool production trick that you heard on the radio, but the fact is that it´ll be passé within a month or two and downright tedious in a year. In the end, it all comes back to the strength of your material. Good songs can survive being over-produced, but it´s damn difficult to engineer a bad song into something worthwhile.